We've been vacationing in Wildwood New Jersey for the past 20 years. We go down to the Jersey Shore at least three times every summer season. When it comes to great tasting pizza and delicious French fries, we know where to find them! Just recently they put in a pizza place in North Wildwood called SLICE. They offer some of the BEST pizza that we've ever tasted and it's made-to-order. They're open for lunch, dinner and late-night munchies. You can eat-in, grab take-out or have it delivered. We typically get take-out and take it back to our condo to enjoy. Our second favorite place to get pizza (used to be our favorite until SLICE opened up) is called Sam's Pizza Palace and it's located right on the Wildwood Boardwalk. This place has been in business since 1997 and many of the locals consider it to be the best pizza parlor in the area. I think a lot of the tourist & regular visitors to the island would agree. 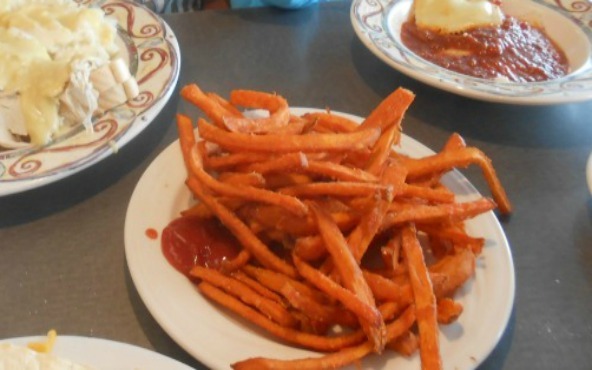 If you're looking for the BEST French Fries, you can find them at Curley Fries. Curley's is located right on the Wildwood Boardwalk and they are at two different locations. They're French Fries are freshly made and fried to perfection! Every time we buy them, we buy them by the large bucketful. In addition to the fries, they have the best boardwalk lemonade, at least in my honest opinion! Every time we are down visiting, I'll get a cup of their boardwalk lemonade almost every day that we're there! I'm a big fan of sweet potato fries and my favorite place to get them is at the Star Diner Cafe Restaurant in North Wildwood. You get a big serving of them and they're absolutely delicious! Matter of fact, our family loves going to the Star Diner for all kinds of different food. If you enjoy eating sweet potato french fries, this is the place to go! YUMMY! Well, there you have it! 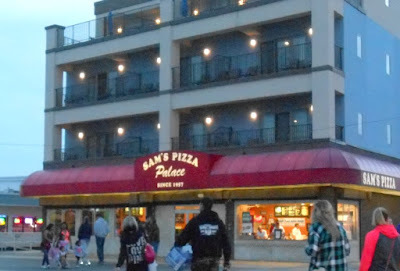 Those are our two favorite places to buy pizza and our two favorite places to buy French Fries down in Wildwood New Jersey. You can click on each photo in this travel feature to open it up in a new browser window and it will automatically enlarge in size. This will allow you to view the smaller details up close.